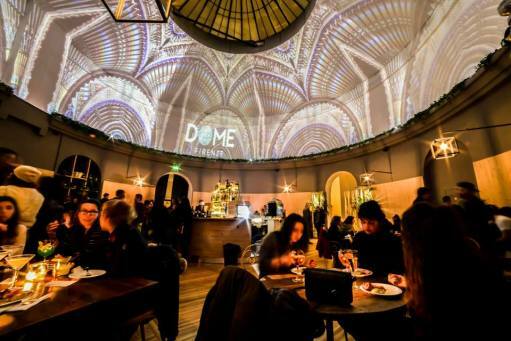 " Dome " is a beautiful venue in the historic center of Florence , a new venue, a circular room furnished in the garden and dominated by a huge dome , more than 20 meters high, transformed into a charming lounge bar. Breathtaking lights games, projected on the dome, will plunge you into a 'surreal setting and fabulous. An unusual venue, perfect to celebrate an anniversary, leaving your guests speechless. 2) table + drink + private buffet + dessert: € 18 (minimum 10 people).